Looking to gain market share and drive card acquisition. Capital One launched the Match My Miles campaign. 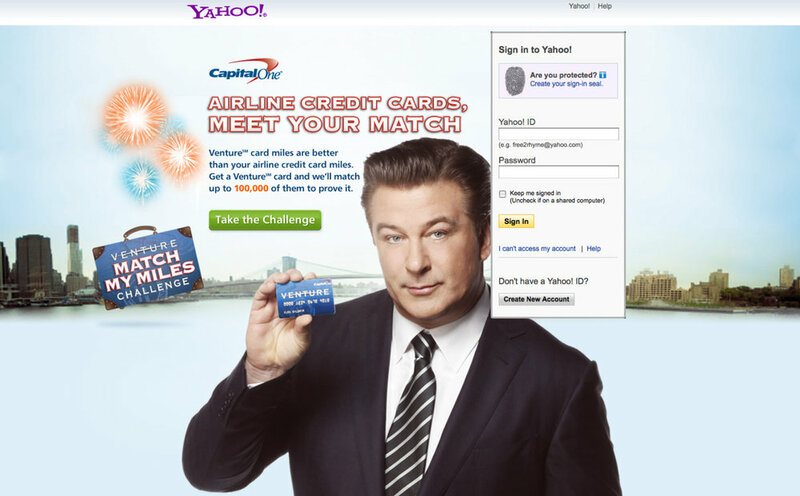 The witty Alec Baldwin was chosen to directly target up-market consumers with an affinity for travel. Targeting an upmarket spender has always proved difficult for Capital One due to their elusive behavior. The Match My Miles campaign was able to entice this audience with an offer that not only also resonated with heavy spenders, but made economical sense. Using disruptive display units, Questus was able to team up with the broadcast division to develop an experience that proved to drive acquisition and position Capital One as one of the most trusted banks in the US. By week 3 of the launch, the campaign was halted due to the overwhelming response that depleted the miles set aside for the campaign. The result is a campaign that has been copied, mimicked and lauded for its brazen approach.